What Alberto Solana is talking about is linkage. It is a tested strategy, one that worked well when dealing with the Soviet Union. What Cigar Aficionado is talking about is détente. It has rarely if ever worked to do anything other than strengthen the ruling regime and weaken any domestic reform movement. They are right that we should try something different with Cuba now that Cuba seems ready to negotiate, but different doesn’t have to be new. Rather than try what has worked in the past, though, they want to pretend that, since it gets them their cigars faster than slow reform, that the past has no lessons for us. 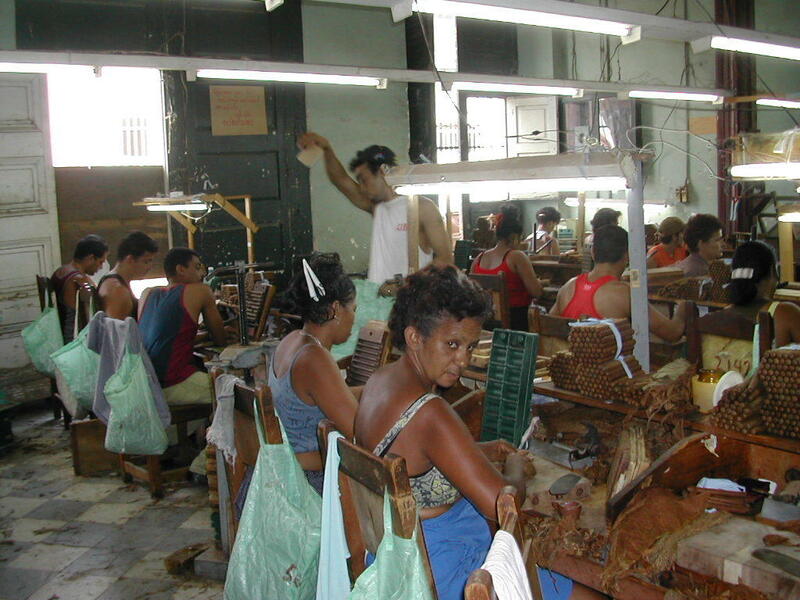 In their zeal for fine Cuban cigars they have lost all sense of history. The idea that that merely opening trade will increase freedom is not “something different”. It is literally the failed policy of the past. One of the letter writers supporting the one-sided exchange had the complete lack of hindsight to use China and Iran as examples, confusing China’s state-run capitalism with freedom1 and claiming that sanctions did nothing against Iran. But sanctions did weaken the Iranian regime while strengthening reformers in Iran, and China is using its new wealth, in part, to crack down harder on reformers. In order for a people to be able to demand freedom, we must ensure that they have the tools of freedom. Our linking arms concessions and trade agreements to freedom is why the Soviet satellite states were able to throw off the Soviet Union in relatively bloodless revolutions. We could have done the same in China, and we could have done the same in Iran—the Green Revolution might have succeeded, and would certainly not have been as bloody, if the Iranian leadership thought they could gain by not brutally putting down dissent. But China and Iran—as does Cuba—continues to jail (and kill?) dissidents knowing that we will do nothing to stop them. There will be no more demonstrations in Tiananmen Square because dissidents know the world will not hold the communist leadership responsible. And that the Chinese have the funds to crack down hard, due to Western trade deals that do not link freedom to trade. The reason, as Sharansky points out, is that our concessions strengthen the dictators in both the obvious way, by giving them money, and in a less obvious way, by sidelining concerns about freedom. Without a commensurate strengthening of dissidents, there will be no reform. People may look a lot happier, as did Soviet citizens to Western news organizations, but that’s because they fear making their true views known. It is no coincidence that Iran’s brutal crackdown on their reformers happened after we started opening up to the Iranian dictators. Détente strengthened the dictators in the Soviet Union, and it strengthened the dictators in Iran. 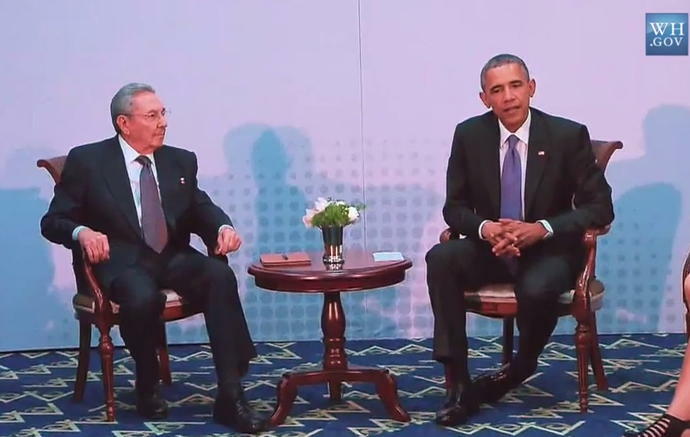 There’s no reason to expect it to act differently in Cuba. At best, Cuba will become a Saudi Arabia, rich at the top and silent at the bottom. Most likely it will be an Iran or a China, brutal at the bottom. And it will be our money helping them crack down on their dissidents. True democracy, real prosperity, and lasting security are neither given nor imposed from the outside; they must be earned and built from within and renewed by every generation. Today, we rededicate ourselves to this important task and to the promise that wherever people are willing to do the hard work of building a democracy—wherever the longing for freedom stirs in human hearts—they will find a partner in the United States of America. But in the real world, dissidents in Iran, Cuba, and China know that there is no partner here willing to do the hard work of holding those countries responsible in tangible ways when they crack down on dissidents. Instead, it’s the same talk Soviet dissidents heard during détente: trickle-down freedom will be granted by your dictatorship once they’re friendly with us. Dissidents know this is wrong. They know that détente is in the favor of the tyrant, and that you can’t separate human rights from peace negotiations. The important borders during the Cold War were seen as those that separated capitalists from communists, Americans from Soviets, East from West. But not to dissidents. Of course, more than anyone else, we were painfully aware of these fault lines because we often paid the price for crossing them. Merely talking to a foreign diplomat or entering a foreign journalists’s home could land us in an interrogation room or prison cell. Still, while the fault lines framed the larger geopolitical and ideological contours of the superpower face-off, they failed to capture what for many of us was an even more important threshold—a border that did not separate the world as it was, but rather as it might be. One one side stood those who were prepared to confront evil. On the other stood those who were prepared to appease it. For Soviet leaders, whether a bloodthirsty tyrant like Stalin was at the helm or men of a more moderate disposition like Kruschev and Brezhnev, accommodation with the West was invariable viewed as a means to consoled the regime’s control and expand Soviet power… Had that accommodation continued, the USSR might have survived for decades longer. The logic of linkage was simple. The Soviets needed things from the West—legitimacy, economic benefits, technology, etc. To get them, leaders like Reagan and [Democratic Senator Henry] Jackson demanded that the Soviets change their behavior toward their own people. For all its simplicity, this was nothing less than a revolution in diplomatic thinking. The Case for Democracy remains as valid today as it did then, but linking freedom to concessions remains outside the box thinking for modern politicians. The Obama administration—and Cigar Aficionado—is making the same mistake the U.S. made when we backed the previous Cuban dictatorship. We are mistaking tyrannical rule for peace. We are setting it up so that only another dictatorship can oust the current one. For that matter, confusing it with capitalism. “America was founded on the beliefs that the true source of legitimacy is the consent of the people; that every individual is born equal with inalienable rights; and that it is the responsibility of governments to uphold these rights.” Logically, this means we that in a dictatorship, we should be negotiating with the people rather than with the dictators. Reaping the benefits of a new United States-Cuban dialogue, President Obama announced a new national library and poets program last week, based on a similar program pioneered by Fidel Castro in Cuba. If we don’t act like freedom matters overseas, we won’t act like freedom matters domestically. Cuban Cigar Aficionado last modified July 30th, 2015.